Welcome! I've had so many eye-opening life experiences so I thought I'd share them with you. The menu to the left will take you to the Main Blog Page. Choose the category you'd like to read. Feel free to share your thoughts in the "comments" sections at the bottom of each post. Use the "share" buttons to send posts to your peeps. Let me know if you'd like to share a story as well. Thanks and enjoy! 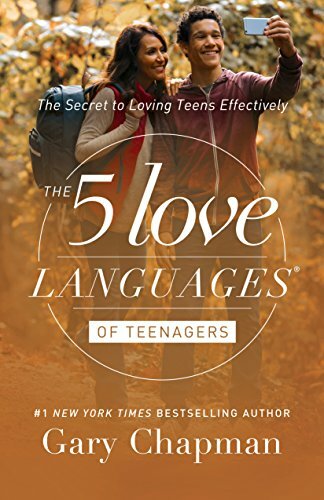 I’m reading The 5 Love Language of Teenagers by Dr Gary Chapman and I’d like to share some alternatives for those people who find it hard to say “I love you” or “I love you” is kinda losing its impact. He states that all teens need Words of Affirmation even if it’s not their love language. Yesterday I checked on my daughter’s grades and she got F’s on 3 assignments. I asked her about it and she said “Ma, that was during the week where I was really sick and couldn’t function”. She was confused with what was due when and was just struggling to get through the week. Usually I get on her and tell her she better get it together because college is two years away and blah blah about her GPA. I decided this time I would take a different approach. So I told her “okay hun I know you’ll get a handle on this. Let me know how I can help”. Honestly I noticed an instant change in her attitude. It’s almost like knowing I trusted her to turn it around, gave her the confidence she needed. She was also never able to get herself up in the morning and I always found myself frustrated that I had to open her door and be like, "Um, what's the deal did you sleep through your alarm?" This year I told her that I wasn't going to wake her up. If she slept through her alarm she would have to suffer the consequences of being late to school. Here's an example how to give words of affirmation and encouragement - other than "I love you". Now that she's driving herself to school, and she has the new responsibility of driving her friend to school, she has been doing great with getting herself up every morning. So today I sent her a text that said "Honey, I so appreciate that you've been getting up on your own every morning! I know it's not easy". Take a favorite piece of artwork or special note from your teenager to be professionally framed. Then hang it on in your home or office. Talk about a goal your teenager would like to reach and verbally encourage them to explore it. Make a habit of mentioning something specific you've observed that highlights your teenager's accomplishments. Just thought I’d throw that out there as an aha moment for me and hopefully it can help someone else. The above link is an affiliate link which mean if you click on the link and make a purchase, I receive a small commission. I truly appreciate your support. Wow life is messy…am I right? Where's the manual? I have so many life lessons I want to share with you. I write about everything I've learned from my fruitful and failed relationships, parenting the "Barney" generation, my divorce and dating again, and how all of these things tossed around in a bowl of love have helped me to live my truth. I'll add you to my email list for information you "can't live without".